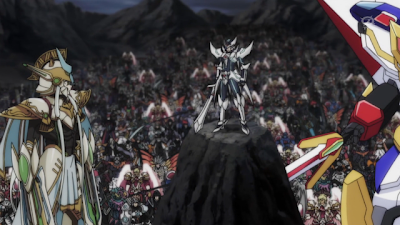 The scene opens on Kai's turn; both he and Takuto are at grade 2, Kai as Nehalem (10000) and Takuto the Knight of Divine Skill, Bohman (10000). Kai rides Dragonic Overlord (11000) but whatever moves he makes on this turn are repelled. 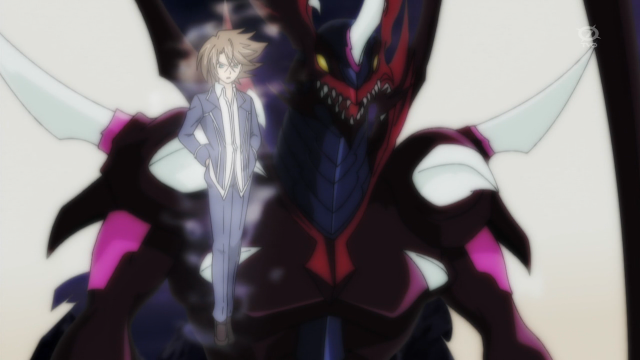 Takuto proceeds to ride an unseen grade 3, ending the fight. This fight starts on Takuto's turn. He opens with Prairie Wind, Sagramore (6000) and rides the Knight of Fine Play, Gareth (8000) before passing the turn over to Aichi. Sendou opens his own turn with Wingal Brave (5000). He rides the Little Sage Marron (8000); Brave's skill calls it to the back rearguard circle to Marron's left. Sendou calls the Knight of Friendship, Kay (7000) who with Wingal's boost (12000) attacks Gareth. Takuto damage checks Vanquishing Swordsman, Hougang. Marron drive checks the Lake Maiden, Lien, and Takuto damage checks Slaygal Sword. 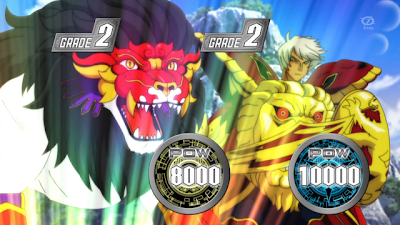 Tatsunagi rides the Knight of Divine Skill, Bohman (10000) and calls Guardian Holy Beast, Nemea Lion (8000). Bohman drive checks Silent Punisher (CT +5000 +1 Critical) giving the critical to Bohman and the power to his Lion. Aichi damage checks Solitary Knight, Gancelot and Blaster Dark. Nemea Lion (13000) attacks but is guarded by Yggdrasil Maiden, Elaine (S18000). Back to Aichi. Sendou rides Blaster Blade (9000) and counterblasts 2 to retire Nemea Lion, then calls Lien for Blaster's support. Blaster Blade attacks (16000) and drive checks the Bringer of Good Luck, Epona (CT +5000 +1 Critical) giving the critical to Blaster Blade and the power to Kay. Takuto damage checks Assaulting Chariot Knight and Blessing Owl. Boosted by Brave, Kay attacks, using his own skill to gain +3000 power (20000); Takuto guards with Weapons Dealer, Gwydion and Silent Punisher (S25000). Takuto rides Great Silver Wolf, Garmall (10000) and activates his limit break (4). The fight ends prematurely. 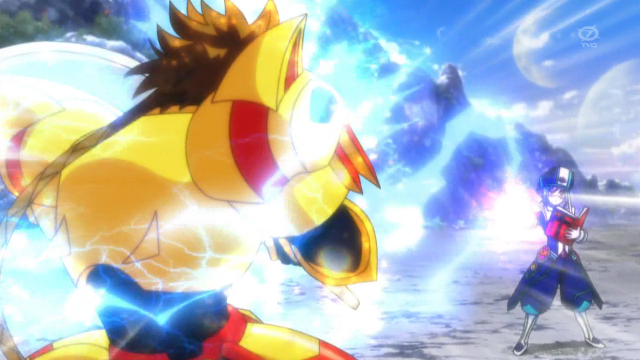 Story Synopsis: The episode opens with a fight between Kai Toshiki and Tatsunagi Takuto. However, it ends when Takuto rides his grade 3 unit, and Kai's Kagerou deck is transformed into a Narukami deck. Later at Card Capital, Aichi encounters Takuto as well. 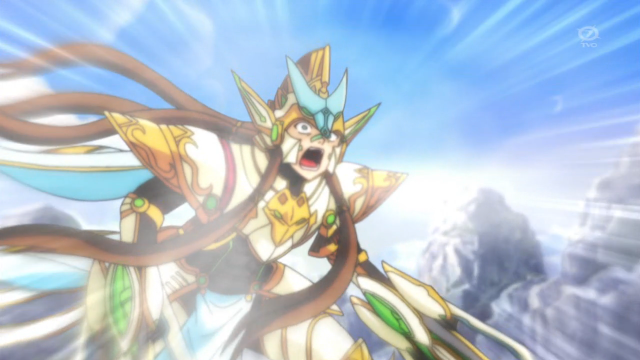 Tatsunagi introduces himself as a first-time player with a Gold Paladin deck. Having just settled back into his normal routine after coming home the national champion, Aichi offers to teach Takuto the rules. Takuto, wielding the new limit-breaking clan, passes off Sendou's play style as "old." As their fight goes on Aichi is drawn by Takuto into a vision of the planet Cray, where he witnesses firsthand the sealing of the Shadow Paladins, Royal Paladins and Kagerou clans. 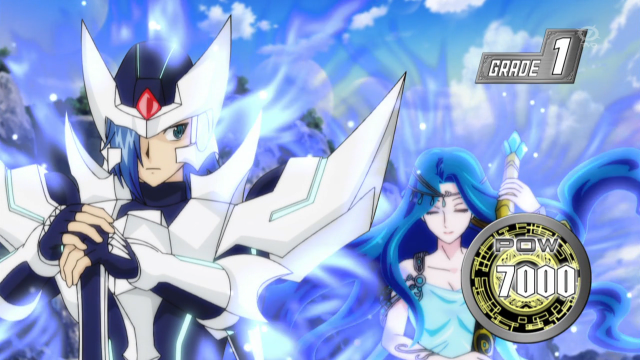 When Sendou awakens, he finds himself in a strange alternate timeline; his Royal Paladin deck has been replaced by a Gold Paladin deck, Takuto is nowhere in sight, and his friends are convinced that Aichi has always used a Gold Paladin deck. Unsure of what to do, the episode closes with Sendou overwhelmed by this strange turn of events.